Today is the last day to comment on the FCC’s proposal to do away with net neutrality — and despite what leadership there has said, that’s definitely how the document reads. You are free to make your thoughts known on the notice of proposed rulemaking, as it’s called, and here’s how to do it. Because millions of commenters nearly crashed the entire system when net neutrality was being established, the FCC has prudently improved the process ahead of the “significant public engagement and a high volume of filings” sure to come over the months. Here’s how to use it. If you’re just a citizen who wants to make your voice heard, there are two ways of submitting a comment in the FCC’s Electronic Comment Filing System. First, go to the listing for the “Restoring Internet Freedom” proposal — yes, that’s what it’s called. On the left are two buttons. Want to build a web app so your users can submit comments without going to the FCC website? There’s an API for that. You’ll need curl and a key from api.data.gov. Got those? All the necessary snippets and documentation are here. 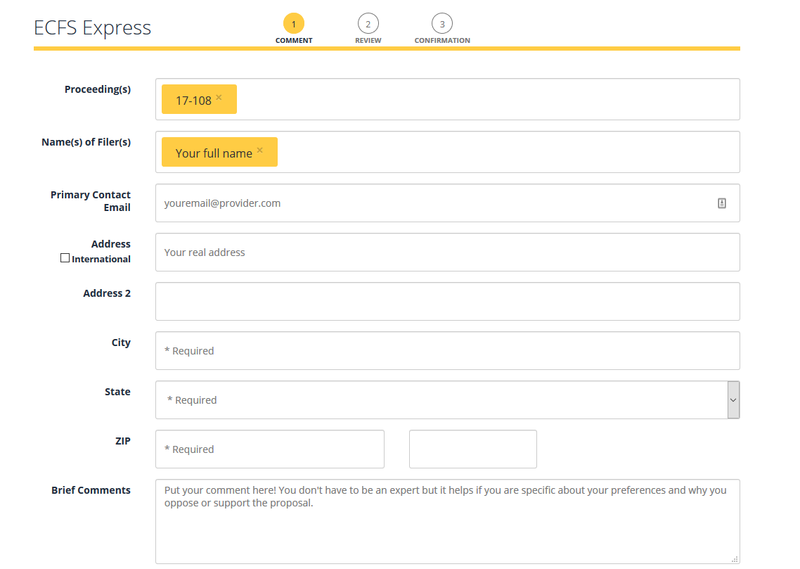 All the comments will be looked at in one way or another, but substantial ones that address specific points in the proposal will almost certainly get a little more attention. Make your position clear, whatever it may be, and use the paragraph numbers in the NPRM to call out specific points. You can download it in a couple of formats here — it’s long, but scan through it and you’ll definitely find something worth commenting on. That’s it — now get commenting! Tell ’em TechCrunch sent you.